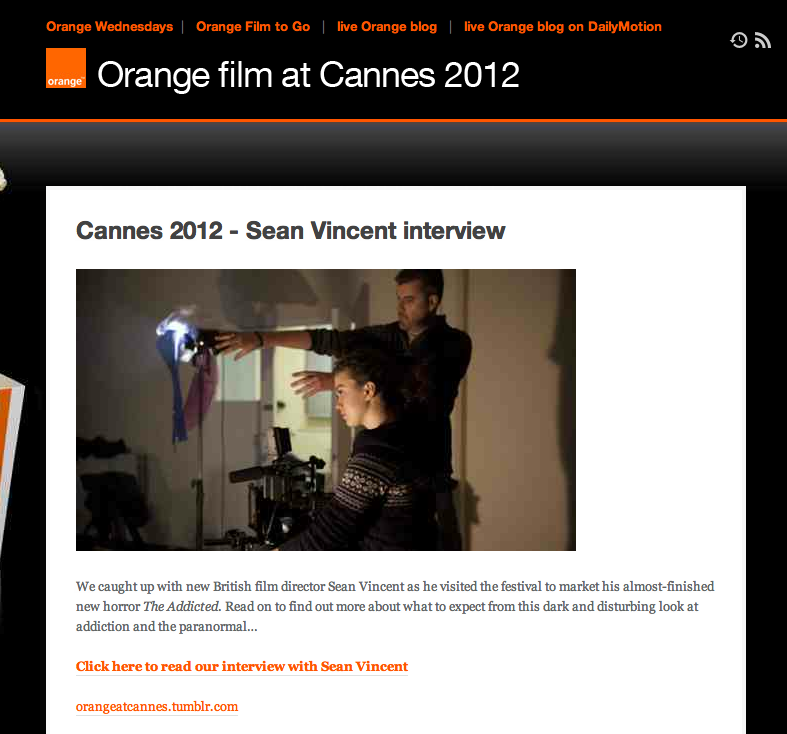 Sean J Vincent Blog: Cannes...Orange interview. We're back from Cannes. It was the usual mix of business and mayhem and some very expensive drinks, but i'll do a proper write-up on it soon. For now, here's the interview Lewis from Orange did with me while i was there. A quick observation... The American Pavilion was kicking every night.. we met so many people there from award winning director of 'Precious' Lee Daniels to the fantastic head of SAGindie, Darrien Michele Gipson. They always welcomed us and let us promote our film there. The UK Film Pavilion on the other hand was closed most nights and wouldn't let us even leave some flyers there. Come on UK Film...support your country's talent (not just those in the selection) and show that the Brits can put on a good party too.